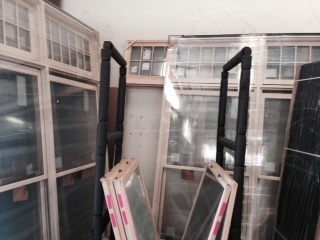 Virginia Sash & Door is your local Distributor for the full line of Jeld-Wen Windows and Doors. Our Siteline® wood and clad-wood windows and patio doors not only add warmth and beauty to a home, they also add value—both practical and economic. Merging inspirational design with lasting quality is what differentiates a world-class manufacturer from companies that make things. The Siteline collection was designed and engineered with an eye toward multiple markets, options and flexibility for the consumer, as well as the high level of energy efficiency and reliability the marketplace demands.